Metcalfe first introduced the measure in 2013 after she chose not to defend the constitutionality of Pennsylvania’s now-nullified Defense of Marriage Act. He withdrew it after not getting support from the House State Government Committee before the 2013-14 legislative session ended. So Metcalfe is trying again. “Since that time there’s been additional information that has come to light, there’s been additional actions by the attorney general, or inaction, as you might say,” Metcalfe said. In 2014, Kane opted against investigating Philadelphia state representatives after an undercover sting operation found at least four legislators had taken bribes. 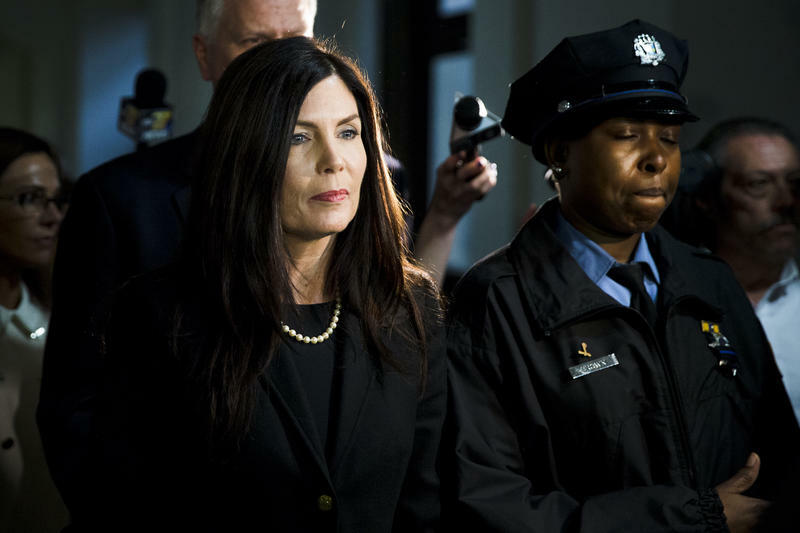 A grand jury also recommended in April that Kane be charged criminally for her involvement in a leak of information from a 2009 investigation to the Philadelphia Daily News. She was under additional investigation during this trial because of her termination of an employee who testified against her statement in court. According to Metcalfe, Kane has stated that she won’t resign if officially charged. Because of this, he feels the timing is right. “We thought that this was the right time to introduce the resolution, to have it on track, if needed, if the DA and the judicial system does not hold this attorney general accountable,” he said. Metcalfe said he believes impeachment is the correct step in addressing the attorney general’s actions. “If that chief law enforcement office acts in a way that they believe that they are above the rule of law and acts in a way that is disrespectful to the citizens of our state and disregards the constitution of our state, then the individual that’s in that office needs to be held accountable,” he said. Rep. Mike O'Brien (D-Philadelphia) called the resolution "a personal vendetta." The measure now has 17 sponsors, up from six in 2013. If passed through the House, the Senate would hold a trial to impeach Kane. "The testimony of Attorney General Kane was not an honest account of the events, and she mischaracterized events to cover up activities undertaken at her direction to unlawfully release documents subject to grand jury secrecy," said the report released Monday, three months after its recommendations were made public. A county prosecutor says she'll review evidence and other material from an investigation that prompted a grand jury to recommend that Pennsylvania's attorney general be charged with perjury and other offenses. One of state Attorney General Kathleen Kane’s fiercest critics in the state House is renewing his resolution for her impeachment. The second proposal for Kane’s impeachment comes in the wake of scathing criticism from within her own party.